The Central Valley is already experiencing days with highs in the 90s, and summer hasn’t even officially started. Now is when you’ll get the most use from your air conditioning system. If you’ve taken good care of it and kept up with regular maintenance (it’s not too late to schedule it! 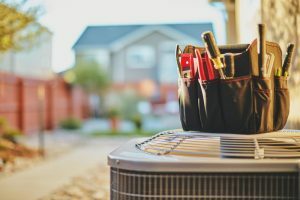 ), the air conditioning system in your house has the best chance of making it through the hot weather with few problems. But you might be forcing your air conditioning system in Clovis, CA to do more work than necessary because of the way you set the thermostat. If you fiddle with the thermostat settings throughout the day, you’re almost certainly wasting energy and not receiving ideal comfort levels. Here’s our guide to setting your thermostat for energy-saving HVAC performance this summer. The Côr Wi-Fi Thermostat from Carrier: Comfort and Savings! 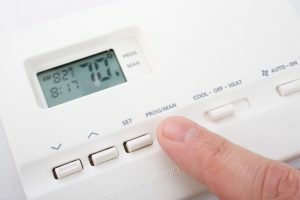 The thermostat that controls your HVAC system can have an enormous impact on how well your home’s heating and cooling operates. A thermostat with special features will help you enjoy improved comfort while lowering monthly energy costs. 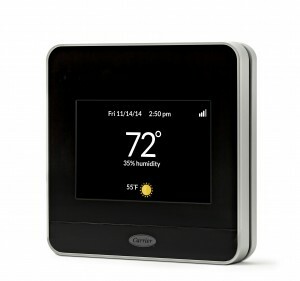 Posted in Air Conditioning | Comments Off on The Côr Wi-Fi Thermostat from Carrier: Comfort and Savings! Check out this video showing just how easy it is to use the new Wireless Thermostat! Give us a call today or request an estimate online to have us install this new technology in your home. You will save money by ensuring that your home is temperature controlled at all times from anywhere you can access the internet from your mobile device. Manage your home or business comfort level remotely from anywhere with a smart phone, computer or tablet. With a new wireless, Wi-Fi enabled thermostat installed by Purl’s Sheet Metal & Air Conditioning in Madera and Fresno, you have the ability to control your heating and cooling needs quickly and efficiently from anywhere. At Purl’s Sheet Metal in Madera and Fresno, we can professionally install this new technology in your home or business. These thermostats have large color touch screen programmable displays and are easy to use. Screens have customizable backgrounds and screen savers to display up to 100 of your home or business photos. The “at a glance” heat and cool indicators offer instant status information on the heating and cooling of your HVAC system. Set reminders for scheduling service and air filter changes. 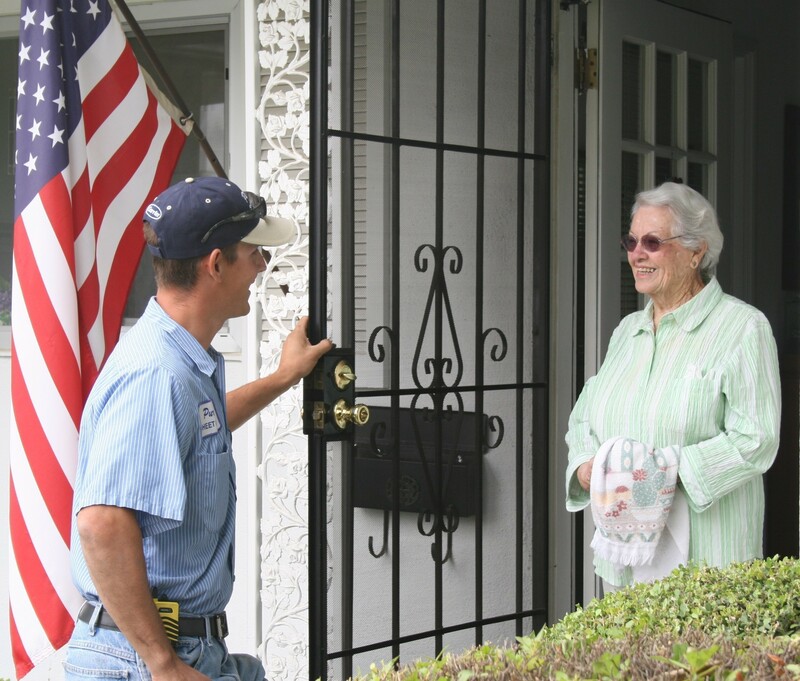 Some thermostats can send email alerts when there is a potential problem or break down with your HVAC system. Many thermostat systems have the ability to show you how much energy are saving and offer monthly energy comparisons. One of the most valuable features of this thermostat is instant access and control. Have you ever left home and forgot to adjust your HVAC system? With a Wi-Fi enabled system you can remotely make changes to the settings of your thermostat. Want to make sure your employees have not over adjusted your thermostat settings and then left for a long weekend? You can quickly log on to monitor and adjust your system for anywhere in the world. The initial purchase cost of a Wi-Fi, wireless programmable thermostat can cost more than a standard programmable thermostat. But the benefits in energy savings and cost savings in Madera and Fresno should off-set the original expense in a short amount of time. At Purl’s Sheet Metal our sales team and service technicians are qualified and trained to help you choose the right thermostat for your home or business in Madera or Fresno. They will take the time to teach you how to use your new Wi-Fi enabled thermostat and make sure you are getting the most benefit possible. No need to wait, give us a call or schedule service online to install the new Wi-Fi enabled thermostat today!